Slow news day? No. Forget about it. More like... weird. Just plain weird. ​If you like football, or even if you simply know what a football looks like enough to pick it out of a lineup, you're aware that the New England Patriots are playing the Green Bay Packers this Sunday in primetime. 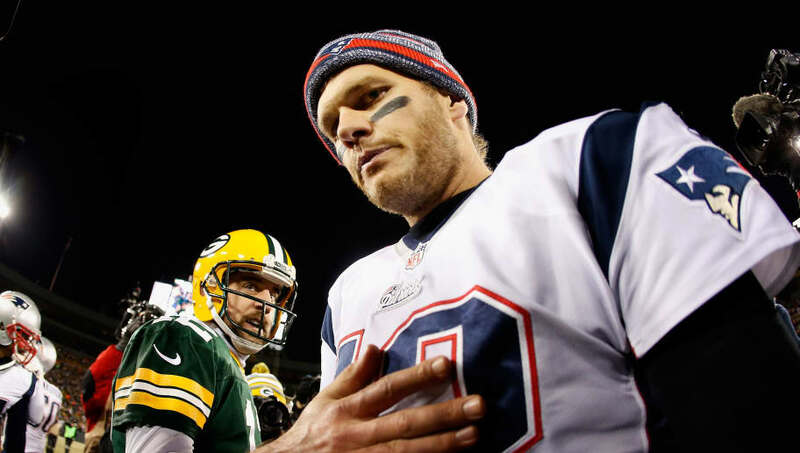 And in advance of the occasion, ​Tom Brady received a decidedly unique question Friday during media availability about ​his relationship with Pack QB Aaron Rodgers. A bromance, huh? If so, don't tell Clay Matthews. Those State Farm commercials would never be the same. To his credit, Brady handled the bizarre query with his typical level of poise. "I don't call it that," he said. ​​Who wouldn't want to be friends with TB12? Rodgers is clearly doing something right with his life. ​We'll see just how kind they're willing to be to each other's teammates this weekend under the lights in Foxborough. We'll get to see if Brady was actually trying to kill his "friend" with kindness or not.